It is very important to distinguish between dry macular degeneration and wet macular degeneration because the treatment options are different. The ophthalmologist that sees you will first examine your eyes to see if there is has been any visible damage to your retina that would suggest dry or wet macular degeneration. 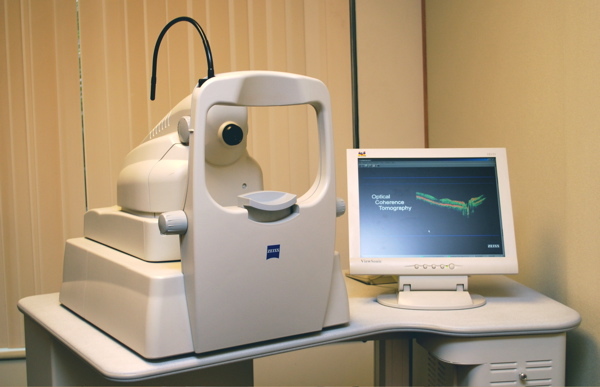 He then may order additional testing including Optical Coherence Tomography (OCT) testing and fluorescein angiography. In Optical Coherence Tomography (OCT) testing, performed right here in our office, a thin cross section of your macula is examined looking for evidence of new leaking blood vessels suggesting wet macular degeneration. If needed, your doctor may order an additional test called a fluorescein angiogram. During this exam, a small amount of fluorescent dye will be injected into a vein and a series of pictures will be taken of your eye. 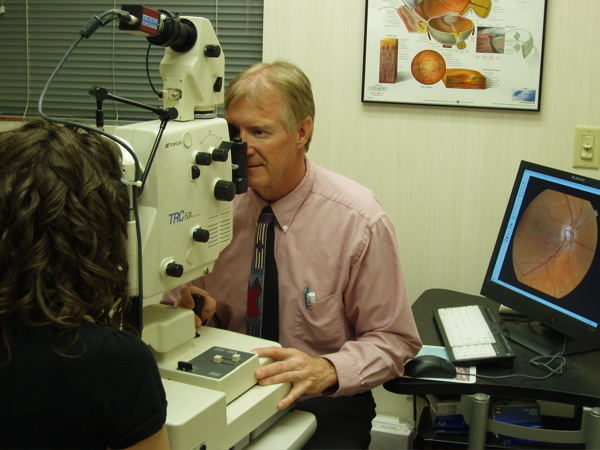 Your doctor will be able to tell from the results of the pictures if your macular degeneration can be treated or not. Laser photocoagulation: Seals abnormal blood vessels with a heated laser. This treatment, performed in our office, will sometimes halt the disease, thus saving the remaining vision of a patient. 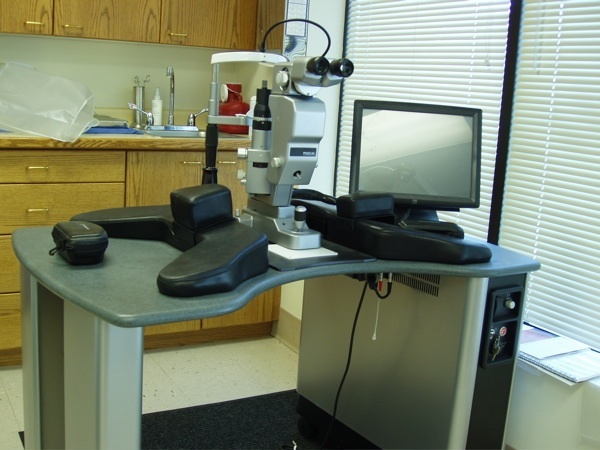 However, the laser leaves a scar, creating a permanent blind spot in the patient’s vision. The treatment is only applicable to a small segment of cases, in which some vision is sacrificed to save remaining vision. Anti-angiogenesis drugs: These treatments, which are given in our office and which need to be injected into the eye, are the most promising therapy to date for macular degeneration, with the vast majority of patients preserving their vision and some patients even improving their vision. These inhibit proteins which contribute to abnormal blood vessel growth. They are known as anti-VEGF (anti-vascular endothelial growth factor) drugs. There are a variety of drugs that can be applicable for this purpose, some FDA approved, and some off-label (officially approved for a different application).